March 29 is a public holiday in the Central African Republic known as Boganda Day. It marks the death anniversary of Barthélemy Boganda, the first Prime Minister of the Central African Republic autonomous territory who is considered the hero and father of his nation. Barthélemy Boganda was born on April 4, 1910. His parents died when he was a child. Boganda was adopted and raised by Catholic missionaries. In 1938, he was ordained and became the first Roman Catholic priest native to the French colony in central Africa. In 1946, he was elected to the National Assembly of France. He conducted a campaign against the colonial regime and racism. In 1949, Boganda founded the Movement for the Social Evolution of Black Africa. In 1958, Central Africa became an autonomous republic within the French Community. 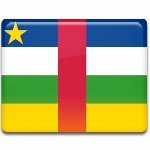 Boganda became the first prime minister of the CAR autonomous territory. He helped draw up a democratic constitution that was adopted in February 1959. Boganda died in a plane explosion on March 29, 1959. Unfortunately, he did not live to see the formal declaration of independence of the CAR. The anniversary of his death was declared a public holiday. Boganda is regarded as a national hero and martyr.